Essential oils have been used in various ancient cultures and are still utilized today. In today’s modern world, essential oil usage is growing rapidly. Due to this fact, the health community is continuing to conduct research and validate their findings as to the therapeutic benefits essential oils provide. Essential oils are organic compounds that are extracted from various plants. The seeds, roots, bark, leaves, and flowers are used for extraction. Various plants are harvested at different times of the year to ensure they are at their peak before they are used in the distillation process which uses steam to separate both oil and water based compounds. Since essential oils are highly concentrated and separated from their original plant, it creates one of the most potent healing compounds into single oils. Some essential oils can be combined, which is referred to as blending, which creates different chemical constituents from their original single oils and can create very powerful healing properties. At the molecular level, essential oils are very small which makes them able to penetrate cells. In fact, some compounds in essential oils can cross the blood-brain barrier. 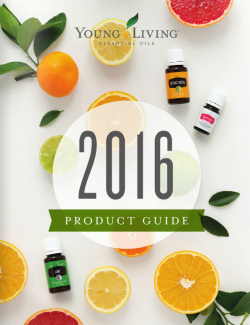 Who are using essential oils? Essential oils are used by many trained professionals who include clinical aromatherapists, clinical nutritionists, physical therapists, massage therapists, naturopathic and functional medicine doctors. Many hospitals are observing the benefits of essential oils and are establishing aromatherapy in various clinical settings as they can be used safely in combination with many other therapies to enhance clinical outcomes. Topically – Essential oils may also have antibacterial or anti-fungal properties. Many oils can be used topically either neat (by itself) or mixed with carrier oils for the most effective response. They can be massaged onto the skin, which then will penetrate and pass into the blood stream. Once in the blood stream, it will pass through different areas of the body for internal therapeutic benefits such aiding in skin conditions, digestion, and restorative sleep. It even boosts the immune system. Aromatically – This simply means that you can combine a couple of drops of essential oils with spring or distilled water in a diffuser which will disperse into the air. There is growing evidence that essential oils can be absorbed into the bloodstream when inhaled. Ingestion – Due to the powerful nature of essential oils, they should be used sparingly as “less is more”. Usually only one drop is used and for a limited time. It is recommended to speak with a clinical aromatherapist for recommendations when using this method. Do It Yourself – Essential oils are being used to make your own homemade personal care products. Many people are using them to make creams, body butters, shampoos, conditioners, soaps, lip balms and even household cleaners. The benefits of making them yourself is that you get to control your ingredients which can give you peace of mind about what you are using for personal care. Reward Yourself– As you purchase oils and start to use them, it will raise your curiosity to want to create more do it yourself recipes. As an added benefit, you can continuously order what you need and have it automatically shipped to your door month after month. You may even qualify for free essential oils. Believe In Yourself– When you determine if essential oils are right for you and cannot wait to share them with others, you can create an income through the Young Living Financial Rewards Program, as you share what you already love. Believe in yourself, create a vision, and accomplish your dream all while you are living your passion!